Jesús is excellent in sales and works diligently at providing exceptional service from the beginning to the end of each transaction. 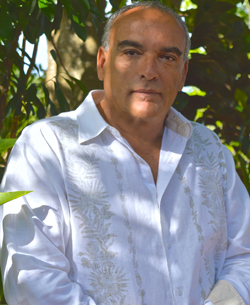 Jesús has a passion for educating his clients about their choices and Las Terrenas, and his knowledge in real estate always delivers the perfect proposal. He can often be caught explaining to his clients: "I'm going to tell you what you need to hear, not necessarily what you want to hear." Born in Havana, Cuba and raised in Spain, Miami and New York City, Jesús has an MS Degree from Georgetown University in Washington, DC. He lived in France, Italy, Saudi Arabia and Mexico among other countries, and travelled the world acquiring an important multicultural experience now crucial to his real-estate profession. He believes professional ethics and firm dedication are vital to his success as a Realtor and in serving his clients. Jesús speaks four languages: English, Spanish, French and Italian. Alma's kindness and sincerity have made her popular not only as a Broker, but within the community at large. If you are looking for someone to assist you immerse into the culture and language of Las Terrenas and help you buy, rent or sell your home, Alma is your best choice; and additionally, she works very, very hard for her clients. Born and raised in Mexico City, Alma has also lived in the United States, Saudi Arabia and now the Dominican Republic. 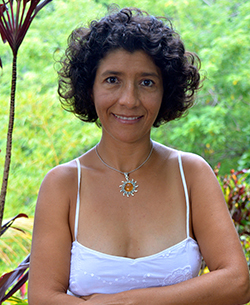 She has a degree in Education from the Universidad Nacional Autónoma de México, and prior to establishing PlayaMax Real Estate; she was a real estate agent for two years with an international real estate franchise in Las Terrenas. In addition, Alma is also the Director and organizer of Las Terrenas 10K, the main sport event in the area, now going into its sixth consecutive year. She is also the Treasurer of Samaná Smiles, a non-profit organization in Las Terrenas dedicated to providing medical and dental services for the poor children in the area. Alma speaks three languages: English, Spanish and French. From Guadalajara, Mexico, Victor is a certified triathlon trainer and a American football, surfing, skateboarding, canoeing, adventures races, Ironman triathlons, ultra marathons and trail runner. After travelling extensively through Mexico, the United States and Europe, Victor and his wife Oli created a company called Minumuri : Natural and Minimalist Running with the purpose of developing activities related to outdoor sports and wholesome nutrition. 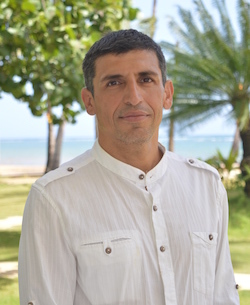 He recently moved with his family to Las Terrenas looking to improve his family’s quality of life and the health of his children. He has started a new career with PlayaMax Real Estate. Victor is fluent in Spanish and English and semi-fluent in French. Olimpia has traveled the world in pursuit of her passion for running marathons, triathlons and ultramarathons. A fervent outdoor sports buff always running on hills and swimming in open water, she has found heaven in Samaná. 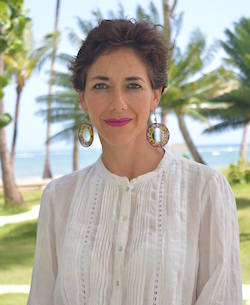 However, in search of a change and looking out for her two children’s health and wellbeing, she swapped a successful professional career and moved to Las Terrenas from Mexico City to now run and manage PlayaMax Real Estate's rental properties. Olimpia speaks Spanish, English and Italian. 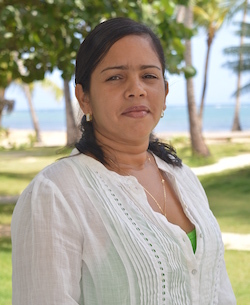 A native of Río San Juan in the Dominican Republic, Nena moved to Las Terrenas over twelve years ago. She has held various positions in local companies and representatives of international outfits in Las Terrenas, and she is now a valuable asset at PlayaMax Real Estate.